24 years on the road. One of the finest interpreters of traditional folk song and one of our most emotive original songwriters – melding old and new so you can barely see the join. Mercury Prize nominee. Folk Singer of the Year, Best Live Act, Best Album and Best Original Song winner at the BBC Radio 2 Folk Awards. Inveterate Yorkshire Tea drinker. Freeman of Barnsley. Darling of British folk. 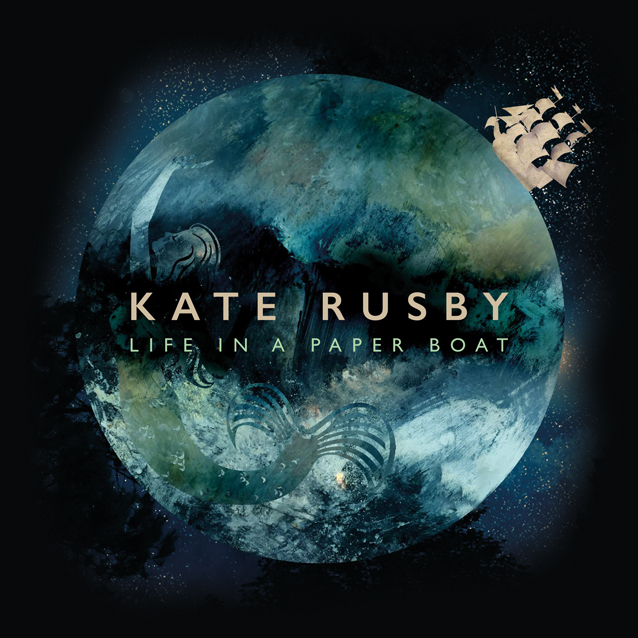 On the brink of her quarter century of music making, the incomparable Kate Rusby will release her 14th studio album Life in a Paper Boat on October 7, 2016. 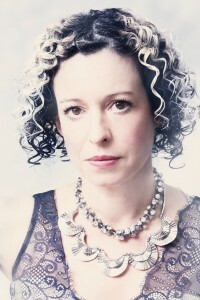 If you think by now you know pretty much everything there is to know about a Kate Rusby release be prepared to follow the diversion signs. Boasting six Kate originals and skilfully produced by husband Damien O’Kane, this 12-track album is full of his vibrant trademarks and unexpected twists and tangents ranging from subtle, sensitive treatments to unflinching flamboyance making for a brimming, full bodied soundscape. Says Kate: “Damien had more time in the production seat for this album. We wanted to experiment much more with sounds and effects, especially those that can be recreated on stage. He is quite the master of it these days -we were both really excited about where it would lead and both love the end result”. Producing that soundscape are her talented band of Damien O’Kane (acoustic and electric guitars) Duncan Lyall on double bass, Nick Cooke (diatonic accordion), Steven Byrnes (bouzouki & tenor guitar), Steven Iveson (electric guitar) and Josh Clark (percussion). The string section comprises Donald Grant and Magnus Johnston on fiddle, Triona Milne on viola and Laura Anstee on cello. They are joined by two members of The Alison Krauss Band – brilliant banjo player Ron Block and vocalist Dan Tyminski as well as Michael McGoldrick on flute and whistles and Anthony Davis on keyboards and synth. “I wanted more percussion for this album but not drum kit, says Kate. “What I wanted was for the percussive sounds to be generated elsewhere, to really emphasise the union between old songs and modern musical technology. They fit so perfectly alongside each other but also at times have a gritty friendship that creates an uneasy darkness around a song. Josh Clark expertly deciphered what we were after and also mixed the album. “The other fantastic sound ever-present on the album is the Moog, played by our amazing bass player Duncan Lyall. It provides a sumptuous electronic layer that moulds perfectly to the songs like tinfoil on a home-made space outfit! Like many, Kate had been moved by watching endless TV reports of the migrant crisis and this triggered the touching title track. 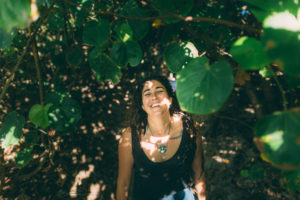 Inspired by her old ballad books Kate regularly trawls her collection to unearth fresh songs to sing and has long been acclaimed for her imaginative and powerful reinventions of traditional folk material. The album opens with the bright, breezy Benjamin Bowmaneer, a quirky song said to have been inspired by the Hundred Years War, about a tailor moved to fight for England with a horse made from board and a bridle from scissor parts! Hunter’s Moon is Kate’s soaringly beautiful, solar tale of the moon’s unrequited love for the sun as they move around the celestial world, destined never to meet. Kate’s distinctive and tender voice mixes seamlessly with strings and electric guitar to create a real song of longing. The traditional words of The Ardent Shepherdess are set to Rusby’s own delightful tune with Ron Block providing a gorgeous banjo interlude, in one of the stand out tracks on the album, again of circumspect love. This time temptress and shepherdess Janie barters her kisses for sheep! Michael McGoldrick’s whistle wizardry laces Kate’s gently reflective Only Desire What You Have while Hundred Hearts mixes traditional words with those of Kate set to her tune in the aural equivalent of an eternity ring. 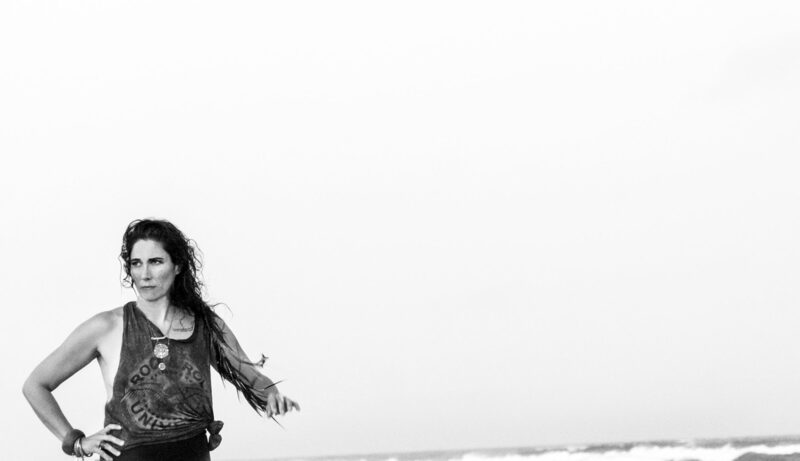 Kate dips her toe in the sea for her ominous, mournful song The Mermaid with guest vocals from Dan Tyminski – an exquisitely sensitive number. The mood changes for the traditional upbeat Pace Egging Song celebrating the West Yorkshire Easter tradition of performing Pace Egg village plays in which St George combats all challengers, with bouzouki, whistles and flute sending it on its merry way. A cover of Scottish singer songwriter Archie Fisher’s The Witch of the Westmorland is haunting and delicate – O’Kane and Lyall’s musicianship providing a beautiful backcloth for the tale of the knight saved by the sorceress. Kate’s I’ll Be Wise could come straight from the tradition – the tale of a girl beguiled and betrayed – before stately strings herald the sublime Night Lament with Kate’s voice at its most captivating. But we’re not done yet. The fun bonus track introduces Kate’s superhero Big Brave Bill, a gent fuelled by her beloved Yorkshire Tea! Starting life as a bedtime story for her girls Daisy and Phoebe, her “brass boys” blast out this endearing, infectious anthem, premiered at this year’s Underneath the Stars Festival. Says Kate: “I wrote the song in celebration of Yorkshire, Barnsley and of course my love of Yorkshire Tea. With memories of super heroes from my childhood I thought ‘why shouldn’t there be a hero from Barnsley’”?! Life in a Paper Boat is perhaps the finest ever melange of Kate’s music – the broad brushstrokes of O’Kane’s bold, warm and expansive production illuminating her many strengths – from that unmistakable voice to her increasingly skilful songwriting and the way she gets right inside a traditional song. After two decades at the top of her game, Kate Rusby may no longer need any introduction, but make no mistake, hers is a constantly evolving story. Life in a Paper Boat will be launched on a 14-date UK/Irish tour starting September 28 taking in venues including Leeds Town Hall, Glasgow City Halls, Wales Millennium Centre, and Dublin’s National Concert Hall.